pseudobunny & co.: Forgot about this one! 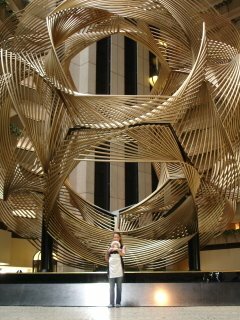 We also made a pit stop at the Hyatt on the Embarcedero on Fathers Day and Sweetie took this amazing photo of me in front of a Chris Perry Sculpture. HUGE! And by huge i mean HUGENORMOUROUSAGIGANTIC!! !